Very nice and sturdy maple wood student panflutes with a basic finish, sealed with plastic corks. These do not dry out and are very user-friendly when tuning. Different options in range in tuning. 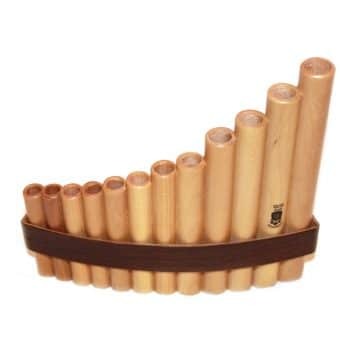 Budget-friendly and ideal for beginning panflute players.